Recent research has discovered that an increasingly large number of small firms are missing their auto-enrolment deadlines. Sarah Pownall, payroll specialist at Nottingham-based chartered accountants Clayton & Brewill, explains the consequences of missing your deadline and provides some tips to ensure you don’t get caught out. According to workplace pensions provider Now: Pensions, of the companies that signed up with them in the first quarter of 2017, nearly half (46%) signed up either very close to or after their staging date deadline had passed – the highest number ever recorded. What happens if I miss my auto-enrolment deadline? If you miss your auto-enrolment deadline you could face warning letters, statutory notices and penalty notices from The Pensions Regulator who investigate non-compliance. Although they will support you to meet your duties, if you continue to not meet your pension responsibilities the fines can be substantial. The recent case of Johnsons Shoes Company highlights just how substantial the penalties can be. The company was issued with a £400 fixed penalty notice after it failed to comply with auto-enrolment regulations. The company paid the fine but still failed to comply, resulting in a new penalty of £2,500 for every day that it failed to fulfil its duties. The fine escalated to £40,000 before the company complied. How can I avoid missing my auto-enrolment deadline? Your Workplace Pension Staging date is set by your PAYE reference and cannot be deferred. Even if you have NO eligible employees requiring automatic enrolment into a scheme at your staging date, you still have other responsibilities as an Employer and should confirm your compliance via a Declaration of Compliance. This should be submitted online to the Pensions Regulator confirming you have taken the necessary actions within the 5 months following your staging date. You can check your staging date here. As a reminder, The Pensions Regulator will write to you 18 months before your staging date. At this stage, it’s important that you understand your duties and have a plan in place or that you seek advice. It’s important that you seek advice from reputable advisers to ensure you select a pension scheme that is right for your organisation. One popular scheme is Nest, which is the workplace pension set up by the government. 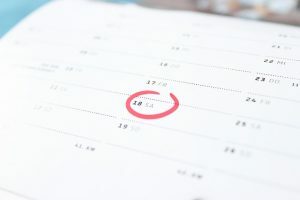 What if I’ve missed my auto-enrolment staging date? If you miss your deadline it’s important that you contact The Pensions Regulator as soon as possible to ensure you limit your penalty. You will also need to ensure that you comply with your duties as soon as you can and backdate any missed contributions. However small your business may be, if you have employees, it’s important that you are aware of your duties and the associated deadlines. If you don’t the implications could be significant. Find out more about auto-enrolment here. Clayton & Brewill’s specialist payroll team can help you to work out how best to tackle auto-enrolment and guide you through the steps you need to take. For help with pension auto-enrolment or any aspect of your payroll requirements, please email Sarah Pownall or call 0115 950 3044.